Dynamic duo at the opening reception. 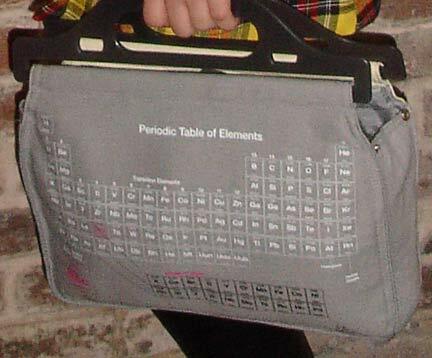 Notice the Periodic Table of Elements bag! Photo by M. Pilmer - Please do not use without permission.